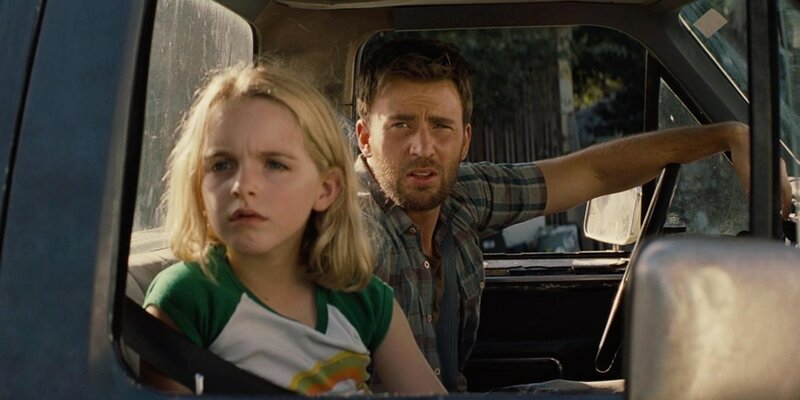 THE STORY - Frank Adler (Chris Evans) is a single man raising a child prodigy - his spirited young niece Mary (Mckenna Grace) - in a coastal town in Florida. Frank's plans for a normal school life for Mary are foiled when the 7-year-old's mathematical abilities come to the attention of Frank's formidable mother, Evelyn (Lindsay Duncan), whose plans for her granddaughter threaten to separate Frank and Mary. THE GOOD - Marc Webb's restrained direction. A scene stealing turn from Mckenna Grace anchored by a solid Chris Evans. ​"Gifted" may just be the single most adorable and heartfelt movie I see in 2017. After dipping into the superhero genre with "The Amazing Spider-Man" and "The Amazing Spider-Man 2," director Marc Webb returns to a smaller scaled picture for his next outing which fans of his work on "500 Days Of Summer" will surely appreciate here. While "500 Days Of Summer" featured its own pair of directorial tricks and style, "Gifted" is a more restrained effort from Webb, which allows for the performances by the cast and the complexities of the script from writer Tom Flynn to shine the brightest. Frank Adler (Chris Evans) is a freelance boat repairman living in Florida with his tragically deceased sister's daughter Mary Adler (Mckenna Grace). Single, in a small house, with no health insurance and a troubled history with his own mother (Lindsay Duncan), Frank is trying to do the best that he can to give Mary a normal life by putting her into a normal school where she can make friends and live the life he believes his sister would have wanted Mary to have. Mary's teacher Bonnie Stevenson (Jenny Slate) realizes that the young 7-year-old is gifted in mathematics and pushes Frank to put her in a different school as her intelligence and social skills are well beyond her other students. Frank relents at first but is eventually forced into a legal battle by his own mother when she shows up unexpectedly in Florida with plans to take Frank to court over custody of Mary. While we have seen Chris Evans in many roles outside of his well-known portrayal as Steve Rogers in the "Captain America" and "The Avengers" movies, we have never seen him appear to be as human as he is in "Gifted." He's not in rare supporting actor form like he was in something like "The Iceman." And he is not the typical leading man as he was in "Snowpiercer." This turn from the big action star has a tremendous amount of heart to it and allows for Evans's likability to shine through different kinds of actions rather than punching bad guys and saving the world. Instead, he is trying so desperately to save the life of his niece, or at least that's how he sees it. What makes "Gifted" very good at points is that the script presents two sides of the argument over who should have full custody to raise Mary and both sides are initially handled equally with some heart-ripping effects as the film heads into its third act. The drama and complexity which the screenplay gives to Evans to explore in his relationship with co-star Mckenna Grace gives the film its charm and will no doubt have audiences rooting for their relationship to last. Mckenna Grace is simply a revelation as the gifted Mary Adler. She is fierce, funny, expressive and dramatic when she needs to be. Her performance is pitch perfect in every scene as she is required to convey another side of Mary's personality so that we can see how truly valuable she is to both her uncle and grandmother. Jenny Slate and Octavia Spencer pop in and out of the storyline with little to do as this is really Evans and Grace's show. Director Marc Webb knows it too as he shoots the film in a conventional matter that does not draw any attention to himself and lets the story play out perfectly over the course of the first two acts. After having our hearts ripped out, the film then heads into its problematic third act where all of a sudden, this sweet, well paced and thoughtful film on parenting suddenly realizes it needs an ending. All of the dramatic weight and consequences are suddenly rushed through in a climax that will leave casual audiences feeling happy but more thoughtful audience members may still be left with some questions. While I don't want to get too much into spoilers here in terms of what those questions are, I will at least say that before the rushed ending, the film does pose some good "If you were in this situation, what would you do?" scenarios. So although "Gifted" does not strike the landing to be one of the best films of the year, it's still very well done with a warm-hearted story about the relationship between an uncle and his niece. There are more layers added to the story in terms of parenting and the consequences it can have on your kids that becomes a bit too non-subtle by the film's third act. However, everything else that comes before this botched point in the story is strong enough to carry this film to a decent rating from me. Mckenna alone is worth the price of admission. Dare I say it? This young actress might just be gifted.